Enjoying a dip in the ocean immediately after work is something almost all people dream about. For some reason, that aqua blue sea and beautiful sandy beach just isn’t next door. And moving out of the city and leaving your work behind doesn’t sound like a superb idea. But some places offer the best of both worlds: city sophistication and amazing beaches. This top 10 includes those famous cities which are gifted with some of the very best city beaches in the world. 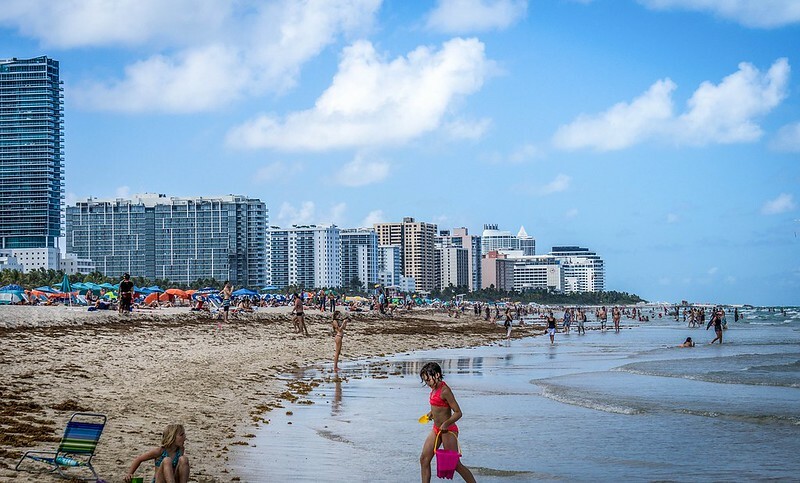 Miami’s South Beach is one of the world’s most iconic stretches of sand. The powdery white sand extends for 23 blocks along Ocean Drive’s row of art decor restaurants, bars, clubs, and hotels. The place constantly vibrates with life; whether it is the beach revelers during the day or party-goers at night. Popular activities include walking the beach, sitting at a chic cafe and people watching, rollerblading, and tanning. 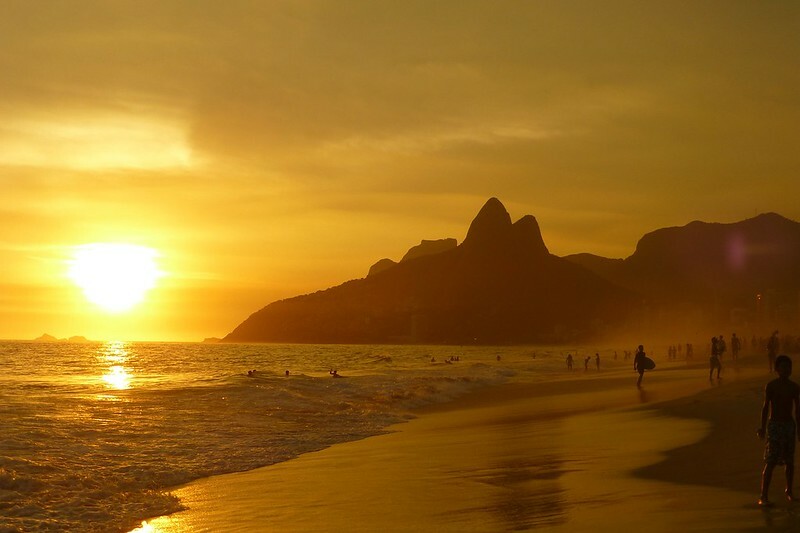 Located within the city confines of Rio de Janeiro, this 2.5-mile strip of powdered beach serves up an animated menu of activities and sights. 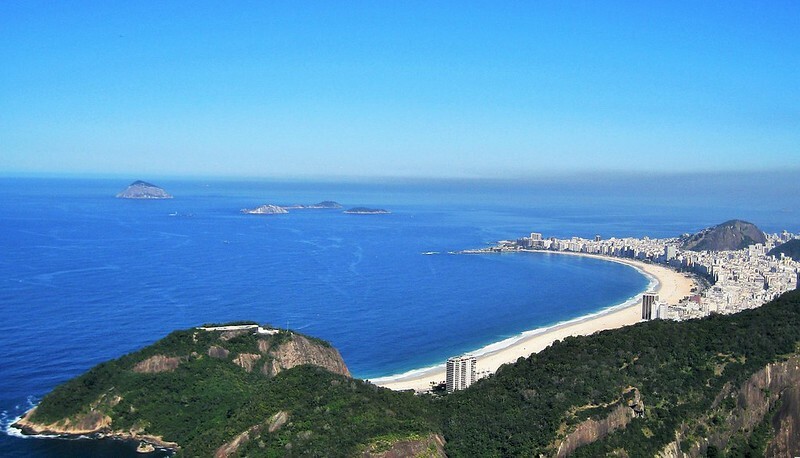 Here you can swim in crystal blue waters, tan, kick around a football in Brazil’s favorite pastime, or simply lay in the sand and absorb all the sights and sounds that forms the unique ambiance of Brazilian beach life. 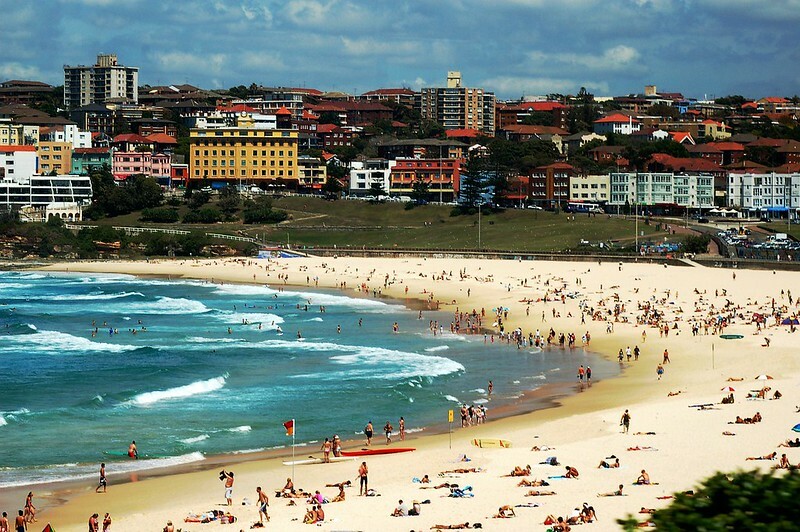 The small stretch of sand that is Bondi Beach does not rival some of the other beaches on this list in terms of size or beauty, but it can rival any beach in the world in terms of atmosphere. Hardly any other people know how to enjoy the beach as much as the Australians. A short commute from the busting city of Sydney, Bondi Beach offers a great combination of beach and city life, including; great waves for surfing or body boarding, and abundance of bars and restaurants, and great people watching. 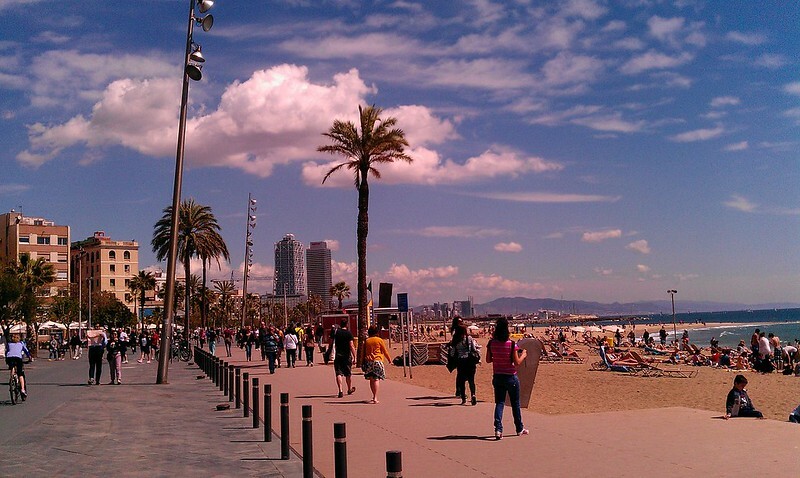 Barcelona’s beautiful beachfront offers tourists a world-class blend of city and beach life. Right next to the historic maritime quarter (which up until the 1992 Olympics was one of the least desirable areas in Barcelona), you’ll find the most central, busy, and best beach in Barcelona. Apart from the obvious pleasures of swimming in the Mediterranean, sunbathing on the sand, or taking a stroll along the Passeig Maritim, with its skateboarders, poseurs, and beach bums, you’ll find tons of things to see and do. Dubai, with its long coastline, is a region famed for its lovely and enchanting beaches. 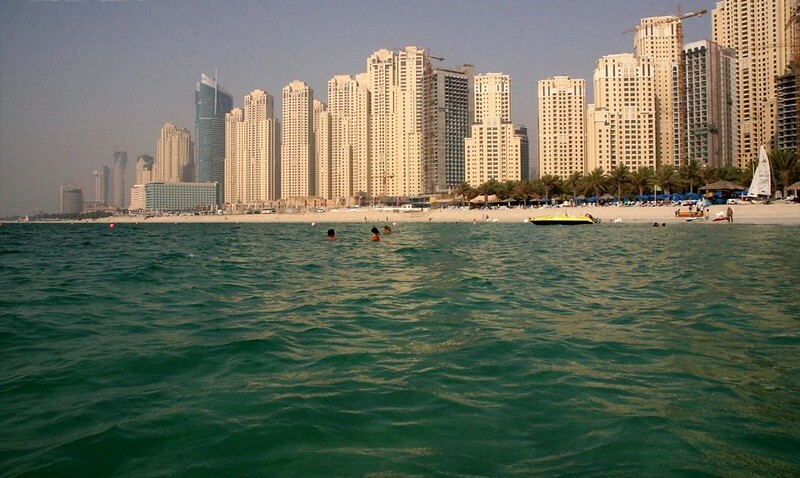 Jumeira Beach stands apart, however, as less crowded and more beautiful than many of Dubai’s other beaches. In addition to being the home of some of the most luxurious resorts in the world, the beach offers white sand, a very docile water front, spectacular views, and a great ambiance. 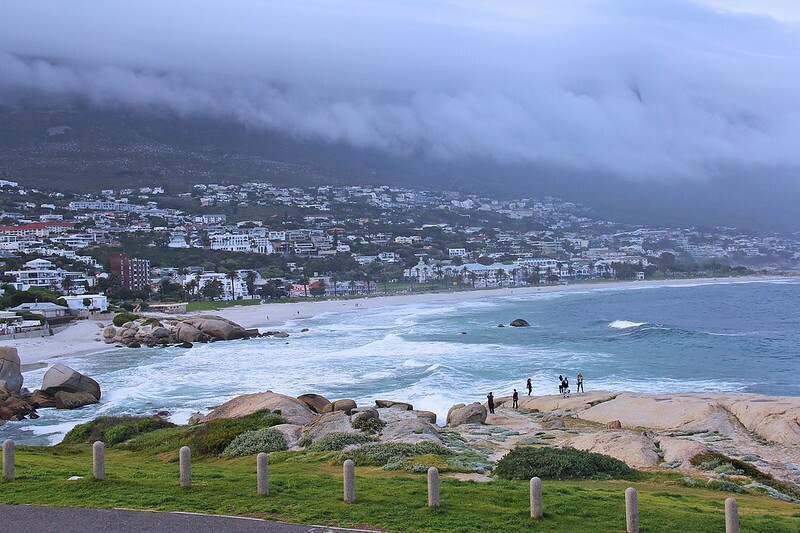 Cape Town’s Camp Bay offers visitors a true taste of South African beach life. Azure waters, white sands, stunning views of the rugged Lion’s Head and the Twelve Apostles, and a cosmopolitan vibe, makes this the premier city beach of Cape Town’s many beaches. The only negative with this vibrant beach is that the Atlantic tends to be a bit too cold for a swim, so while the beach maybe packed in summer, only a few brave souls venture into the frigid waters. 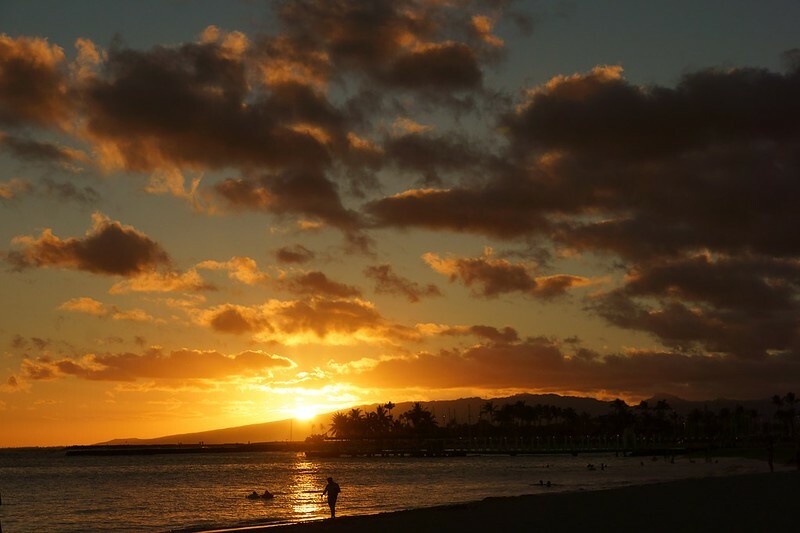 This busy resort area in along the main strip of Honolulu offers visitors beautiful white sand beaches that nestle against the warm Pacific Ocean. While it is indeed touristy and often crowded it successfully blends the natural beauty of Hawaii with the commotion of Honolulu. Here you can tan in the powdery sand in the morning, take a surf lesson in the afternoon, and party all night at one of the many adjacent nightclubs. Fringed by Marina Drive on the western side of the city, Chowpatty Beach is Mumbai’s most charismatic beach. This is not a beach for swimming or tanning (you might have to travel to Goa to find that), but rather a beach where the chaos of the city has made its claim. Every night Chowpatty turns into a veritable carnival of snake charmers, rides, yoga performers, hawkers, astrologers, theatre, monkey shows, etc. 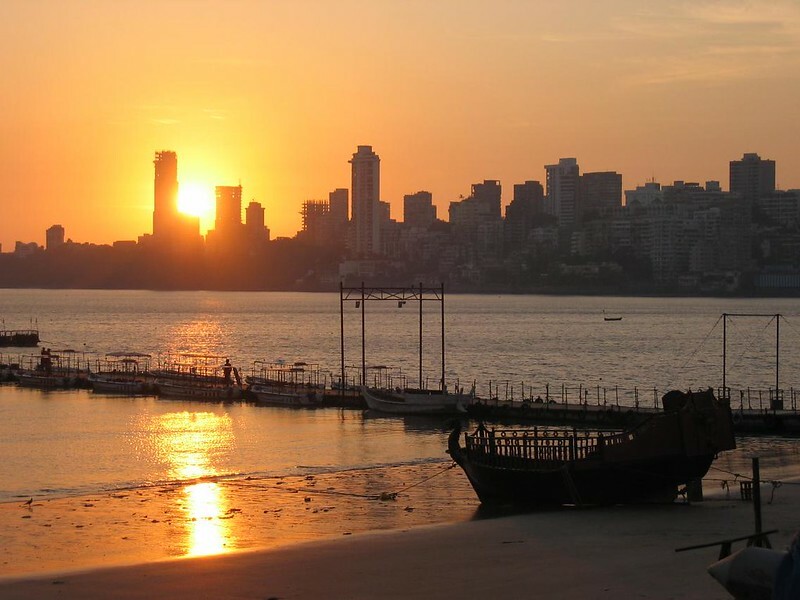 The Chowpatty Beach is also known for its eclectic range of beach-side cuisine, its beautiful sunsets, and a diversity of people looking to have a good time. 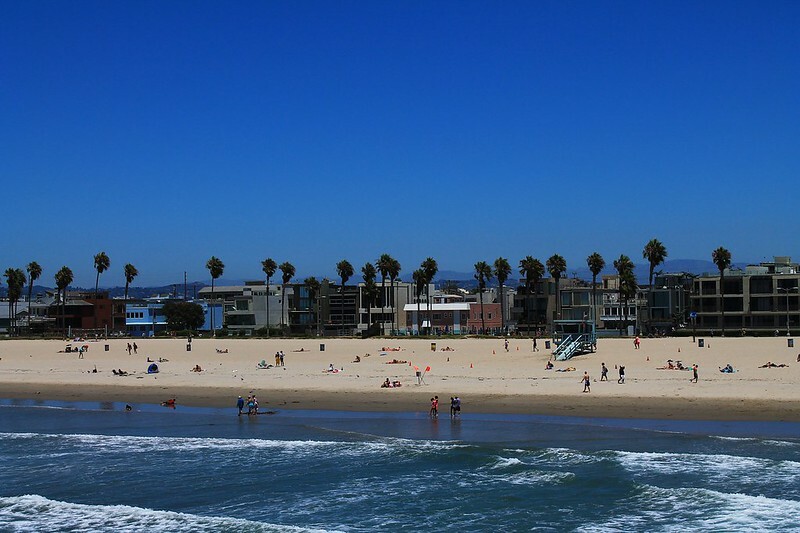 As the home of the TV-series Baywatch, Santa Monica is by far the most renowned beach in the L.A. area. As the quintessential beach community, Santa Monica’s impressive beach offers the allure of a day tanning in the sand with cosmopolitan sophistication. Santa Monica Beach offers a welcome refuge away from the hustle and bustle of Los Angeles, while simultaneously being close to all the major attractions that this metropolis has to offer. beautiful article…you have really chosen the best beaches….